Nigeria’s Femi Kuti, the son of Africa’s music icon Fela Kuti, saidÂ that he had hoped that South Africa would be the country to liberateÂ the continent, but that it didn’t happen. “I thought that country would be during Mandela and after Mandela …Â unfortunately, its taking more time,” Kuti told Al Jazeera. “I do believe that if there was a progressive African government,Â pressure would be put on [other] African countries, to develop fastÂ and catch up. “But where is that African government? It doesn’t exist,” Kuti said. Kuti was speaking to Al Jazeera‘s Folly Bah Tibault in Lagos about theÂ legacy of his larger-than-life father, of finding his own identity asÂ a musician, democracy in Africa and whether it works, and of the mostÂ pressing issues facing the world today. 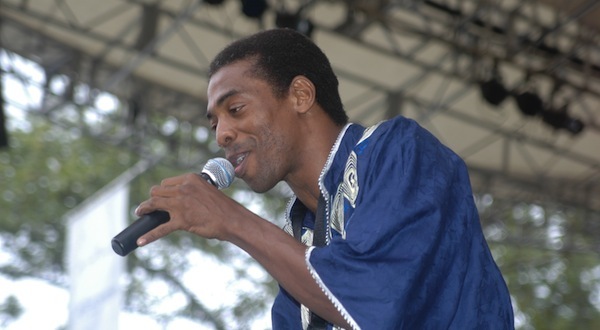 Femi Kuti is seen as making Afrobeats more accessible to worldÂ audiences, and performed the vivacious Beng Beng Beng song at the opening of the World Cup in South Africa in 2010 even though it was banned inÂ Nigeria at the time. “South Africans loved the song and it was a huge hit in the country” he said. Fela Kuti, described as one of the most charismatic, and important figures in African music in the 20th century was known for his enigmatic lifestyle and opposition to the status quo. He was widely acknowledged for creating Afro-beat, fusing jazz, funk and Yoruba music. Fela and was known for is rebellious lifestyle, of drugs,Â alcohol. and multiple women. He died of AIDS related diseases in 1997, and his son Femi is more than happy to talk about it. “It is a fact, and I don’t think anybody should be ashamed. There is no stigma in it. I think we lack education on the topic, it is why people discriminate. “I have never understood why anyone would discriminate with anyone who had an illness of any kind” he said. SCOAN collapse: Is this really the information age?